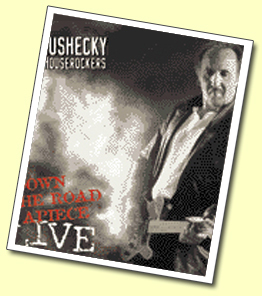 Much like Bruce Springsteen & the E Street Band or Southside Johnny & the Asbury Jukes, Joe Grushecky & the Houserockers have been making American blue-collar bar rock that draws on classic R&B from the 1970s on. He has packed the houses he has played like the Tradewinds NJ, The Stone Pony, and Fat City. He has recorded 5 successful albums to date, even with a little help with co-writer Bruce Springsteen. He has shared the stage repeatedly with the likes of Bruce, Bon Jovi, Bandieria, Southside, The E Street Band and many others. Not bad for a Pittsburgh boy making his way over to Asbury Park, New Jersey!